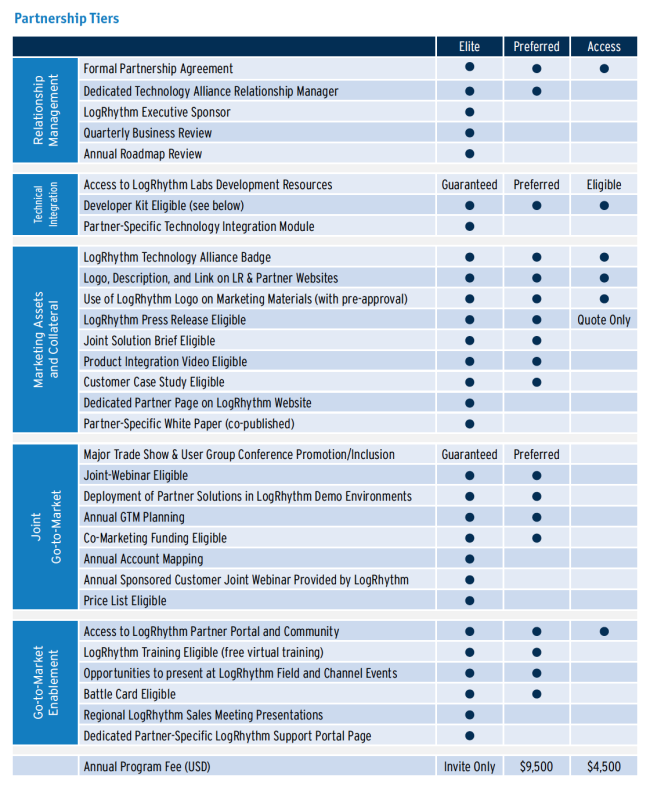 LogRhythm’s Technology Alliance Partner (TAP) Program is designed to promote interoperability between partner technologies and LogRhythm, the leading Threat Lifecycle Management Platform. By choosing to become a Technology Partner through the TAP Program, partners receive technical integration support, access to marketing assets & collateral, and go-to-market enablement, along with additional benefits depending on partnership level: Access, Preferred, or Elite. Program goals are to accelerate technology integration efforts, build and increase mindshare, and drive new business. To request to become a technology partner and to view our Technology Alliance Partner (TAP) Program Guide, please fill out the following information.